A French war reporter is held captive in war-tormented Syria. 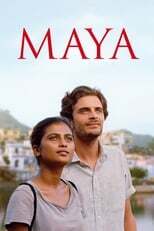 Maya is directed by Mia Hansen-Løve and was released on Dec 19th, 2018. Director Mia Hansen-Løve's Drama movie Maya is produced by Razor Film & Les Films Pelléas & was released 2018-12-19.